We try to bring the best prices we can. What you see in the photos is one of the one's you will receive. If no choice I will pick one. Iced out round cut simulated diamonds. Also, exposing plated jewelry to liquids will cause the plating to lose its finish. 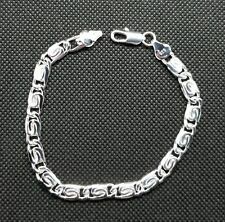 - Width of Bracelet is 4mm. Boss up your wrists, perfect for finishing off any outfit. We try to bring the best prices we can. What you see in the photos is one of the one's you will receive. Material: Stainless Steel Turquoise Glass. after you have paid. Local pick up is not available. Other Accessories. 12 Zodiac Jewelry. Jewelry Sets. Real Cobra Snake Spine Bracelet. Cobra snake spine strung on heavy strong waxed cord. The ultimate manly man's bracelet. Bracelet construction is strong - not flimsy. 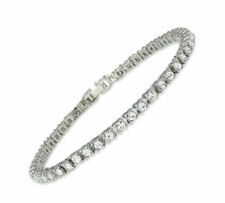 The bracelet has26 Blue Sapphire beads each -8mm in size. A simple design with beautiful Blue Sapphire Gemstone beads. The bracelet is beaded on ROYAL BLUE stretch cord. MIAMI CUBAN BRACELET 8". Luxury lobster claw clasp to lock your Cuban Link bracelet easily and securely. High quality bracelet weighs 15 grams. In a hurry?. Item arrives with a small jewelry bag Condition :100% brand new Color:silver Material: Stainless Steel Weight: 74g ​Occasion21st Birthday,Father's Day,Anniversary,18th Birthday,Birthday,Valentine's Day.